I get spoiled sometimes with the amount of concerts I have the opportunity to attend each year. However, most of those shows fall outside of my home state of Oregon. So when I heard Phil Vassar was returning to the state with a show, hosted by 98.7 The Bull, at the Yamhill County Fair, there was no way I was going to miss it. I’ve seen Vassar a number of times in the past. Starting with the KZLA Country Bash back in 2001 in Irvine, California. This was a concert which had a certain feel to it as it took place just weeks after the 9/11 terrorist attacks. I’ve also caught shows at the Rodeo Club in San Jose, and at larger venues as the opening act for Tim McGraw and Faith Hill. Just two years ago, I saw his performance at the Tillamook County Fair, which turned out to be quite bittersweet when I found out the next morning that my father had passed away while we were at the show. My dad was always a fan so naturally, his service was filled with a number of Vassar’s greatest hits. So this night was a special one for me which I had been looking for since it was announced that he would be coming to McMinnville. Of course, being in my backyard, I had to bring the kids. All of whom have grown up listening to songs such as “I’m Alright”, “Bye Bye”, “Little Red Rodeo” and more. Vassar has a long list of hit country music songs. This list includes 10 No. 1 singles and 26 Top 40 hits. Amazing, right? But what I love most about Vassar is that he always plays for the crowd. He always has a good time. While he might have an idea of what songs he’s going to play, he doesn’t always have a set list in place. He uses Twitter for song requests. He talks to the people. In fact, he and the band also have a couple of drinks with the crowd. Nothing wrong with that right? There aren’t a lot of artists out there that put on a show quite like Phil Vassar. When you go to one of his shows, you know you’re going to get your money’s worth and a whole lot more. On this night, we were treated to a set full of the songs we know. The songs we love. Classic songs like “Carlene”, “Just Another Day in Paradise”, “My Next 30 Years”, “Six-Pack Summer”, “Joe & Rosalita”, “I’ll Take That as a Yes” all filled the evening. We also got the usual cover tunes thrown in including “Stay (Just a Little Bit Longer)”, “500 Miles”, and of course “Piano Man” to close out the night. I say close out the night, but luckily for my kids, there was one more surprise up my sleeve: a quick meet & greet and photo with their favorite: Phil Vassar. You can tell in the picture below that they were absolutely thrilled. Thanks Phil!!! So that’s it! Another concert in the books…and what a show it was! I’ve got to say, if you haven’t checked out Phil Vassar before, what rock have you been hiding under for the past two decades???. Make sure that you check out a concert the next time he’s in town. You won’t be disappointed. Vassar’s shows are some of the most highly entertaining and energetic in country music today, as they always have been, and with as many hits as he’s written, you’re guaranteed to know just about every lyric to every song he sings all night. With his first new album in a few years coming out soon (we were treated to a few of his new songs during the show…they’re great! 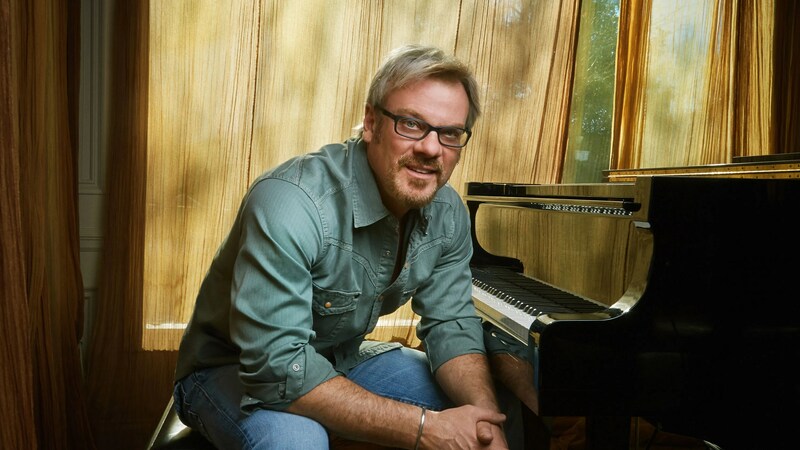 ), you should definitely be sure to keep up with Vassar via his website, follow him on Twitter at @philvassar and Facebook for his latest news and concert schedule. So what did I miss? Have you seen Phil Vassar live? What do you think of him? Please share your thoughts in the comments section below. This entry was posted on August 12, 2016 at 12:19 am and is filed under Uncategorized. You can subscribe via RSS 2.0 feed to this post's comments. I am Phil’s biggest fan for sure. Every show I’ve attended has been awesome! He truly is a great guy and the Best Songwriter Ever! !